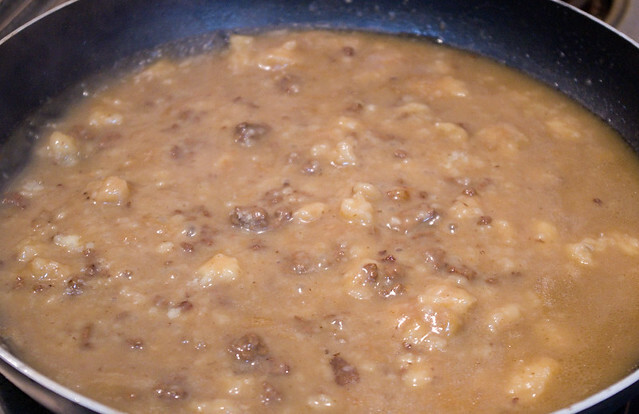 I love gravy and I’ll eat it with just about any meat, steamed vegetable, or starch. It’s to die for on mashed potatoes and it’s fantastic over an open-faced hot turkey sandwich. However, it’s also really easy to get wrong. If it’s too thin, you can always dust in a bit more flour or simmer it for a while to reduce. But if it’s lumpy, it’s absolutely nasty. Those congealed lumps of flour and fat are just… Ew. I’ve accidentally made lumpy gravy many times over the years — although the stuff pictured above was done on purpose to illustrate the point. I’ve tried pre-mixing the flour with water, I’ve thickened it with a roux instead, I’ve whisked until it feels like my arm is going to fall off. I’ve tried every tip and trick in my cookbooks, but sometimes the gravy still comes up lumpy, and it seems like the only way to salvage it is to strain it (which still can leave some tiny lumps). Just run the gravy through the blender. It comes out smooth every time. Not only that, but lumpy gravy tends to get really thick when you finally get it to an even consistency, so this is a great time to thin it out using a bit of the appropriate stock. 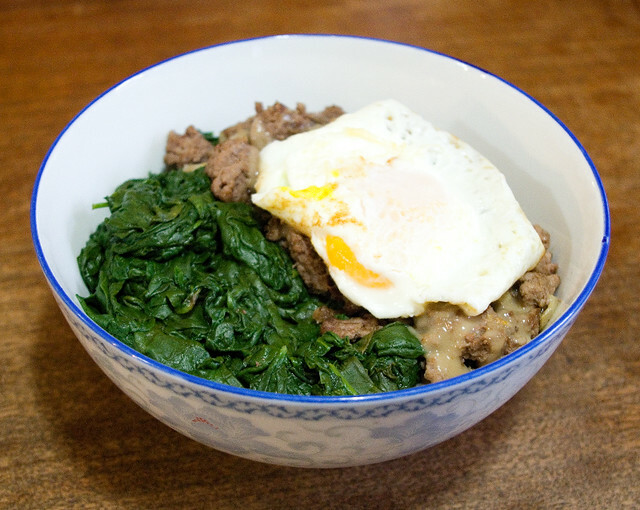 The one in the photo above was loco moco hamburger gravy, so I thinned it with beef stock. There are probably a bunch of you who were using this technique for years and are agog that I’m thinking it’s revolutionary, but honestly it’s totally new to me. 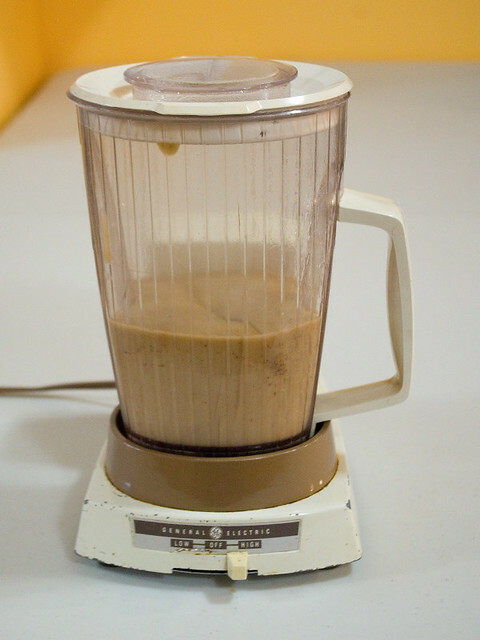 And if my crappy old two-speed General Electric machine from the 70’s with dull blades can do the trick, any blender can. This works for all kinds of sauces, by the way. White sauce I find is also very prone to lumpiness if you’re not careful, but it does blend nicely. As with blending all hot things, do exert extra care to prevent burns! The loco moco turned out great, by the way, even if I didn’t have any parsley or tomatoes for garnish. I find that it pairs rather nicely with steamed spinach, since you can combine it with the gravy and meat for a wonderful, rich flavour.